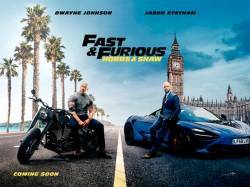 12 Apr 2019 / 12:01 H.
SOME 15 years after producing the first feature based on Mike Mignola’s acclaimed Hellboy comicbook series, producers Lawrence Gordon and Lloyd Levin knew the time was right to re-imagine the film franchise. Recent big-budget comicbook-based titles have demonstrated that moviegoers are ready to embrace flawed superheroes (and anti-heroes) and edgier, R-rated storylines. 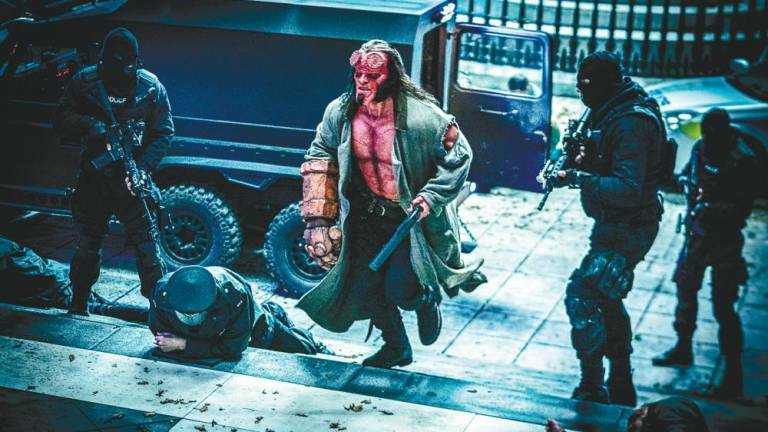 In this new Neil Marshall-helmed movie (showing now in cinemas here), Hellboy (played by David Harbour of Stranger Things fame) discovers that the Blood Queen Nimue (Milla Jovovich), an ancient sorceress, is trying to destroy the world, and has summoned a host of magical creatures to aid her. 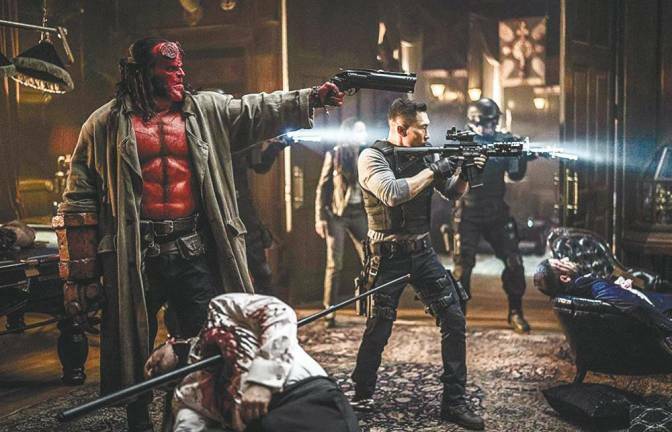 Caught in a clash between the supernatural and the human world, Hellboy is now hell-bent on stopping Nimue. 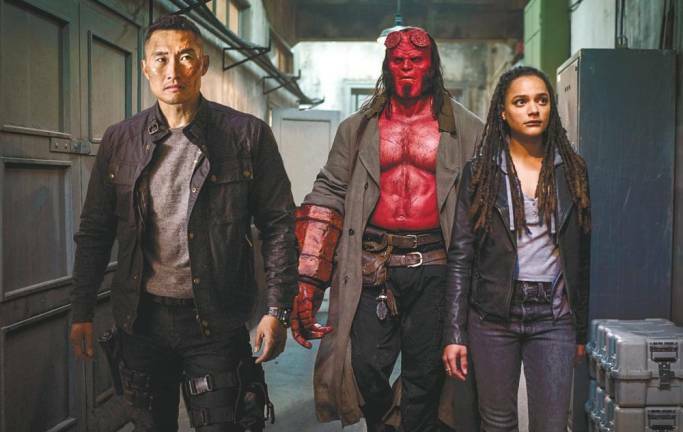 Hellboy also stars Ian McShane, Sasha Lane and Daniel Dae Kim. In an interview transcript provided by TGV Cinemas, the movie distributor in Malaysia, Harbour talks about getting under the thick skin of this half-demon. The American actor says he was more into video games when young, and only got into the Hellboy graphic novels in his 20s because of a friend who was really into graphic novels. He explained: “I thought they were gorgeous and really interesting – this world of demons and devils, weird old folktales like Baba Yaga, and characters that just emerge from these weird disparate mythologies that come together in this Hellboy universe. Most of us are already familiar with the 2004 and 2008 Hellboy movies directed by Guillermo del Toro, with Ron Perlman in the starring role. 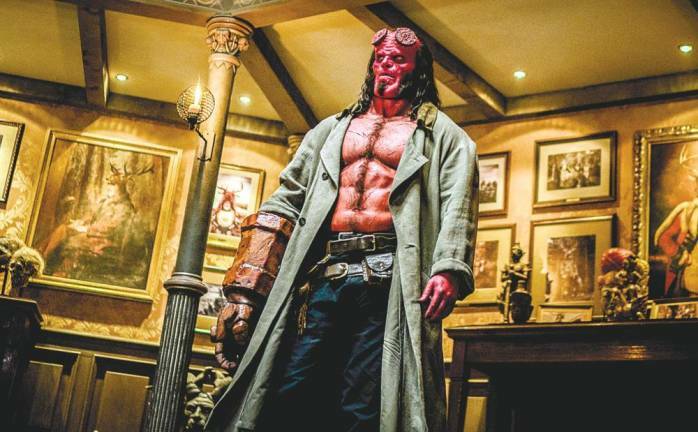 Explaining the difference between this version of Hellboy helmed by Marshall, and the del Toro films, Harbour said that del Toro’s ones were sort of a brighter world whereas the colour palette in this latest version is a little darker. “Hellboy has a lot more issues,” he explains. “He’s a little more lost, a little more confused and conflicted. I think that makes for a darker tone in terms of what he’s willing to do. “It’s [also] more of a character piece, I think, than the del Toro ones, which are a bit more spectacle and team-based and fun. Ours is a little more of a character study. To get into character, Harbour trained with Hollywood trainer Don Saladino. “Here’s the thing about the training, there’s so much fake news around this. “I did a lot of training, but the training was for strength and power. In terms of the actual body aesthetic – there’s a lot of prosthetics, it’s like, not me! 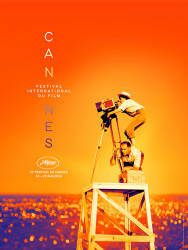 “But I did a lot of training to be able to do the stunts in the movie. He’s jumping, he’s punching, he’s rolling, he’s doing all kinds of crazy stuff and I had to do power lifting and things to develop power strength. As for working with co-star Jovovich, Harbour describes it as “the greatest game of dress up that you could ever play with your friend”. He adds: “I am dressed like a demon and she is like a witch, and we are like casting spells and chopping each other’s head off.